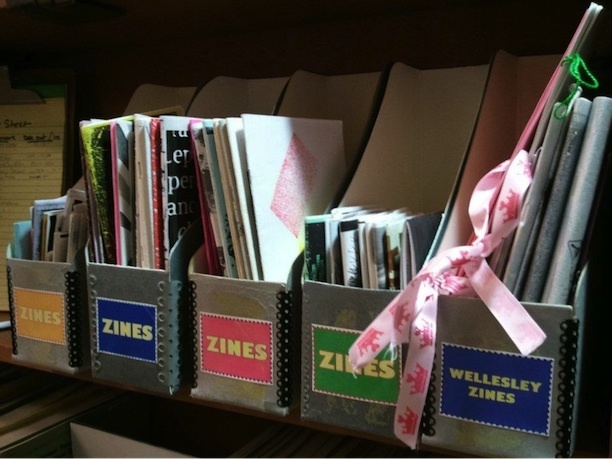 Zines, short for magazines or “fanzines,” are low-budget, self-published creative works made for self-expression, not profit. Wellesley faculty who teach Intro to Women’s and Gender Studies have incorporated scholarly readings on zine history and “zine theory” into course discussions of feminism and intersectionality. Students continue the conversation by creating zines that harness the unique value of the zine format to synthesize course concepts.